Destinations map: where have I been in Europe and Asia? “Think good, speak good, act good” these were the last words of our driver in Bali, just before he left us at the airport for the flight back in February. They describe best the people of this beautiful island, life and religion there. A place I will definitely go back to. 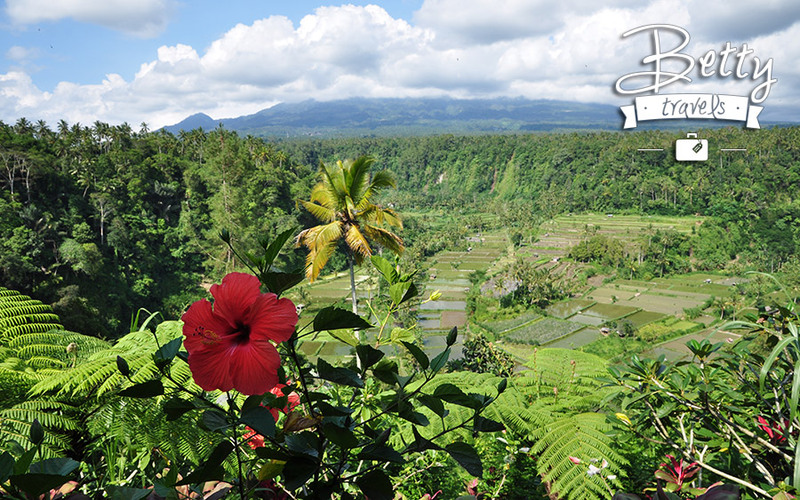 The best time to visit Bali is in the summer, April – September. I was there at the beginning of February and although they say it is the rainy season, we had rain just on 2 days out of 7 and only for a few hours, but it was summer rain, warm and the temperature didn’t get lower. When it stopped, the ground got very easily and quickly dry. 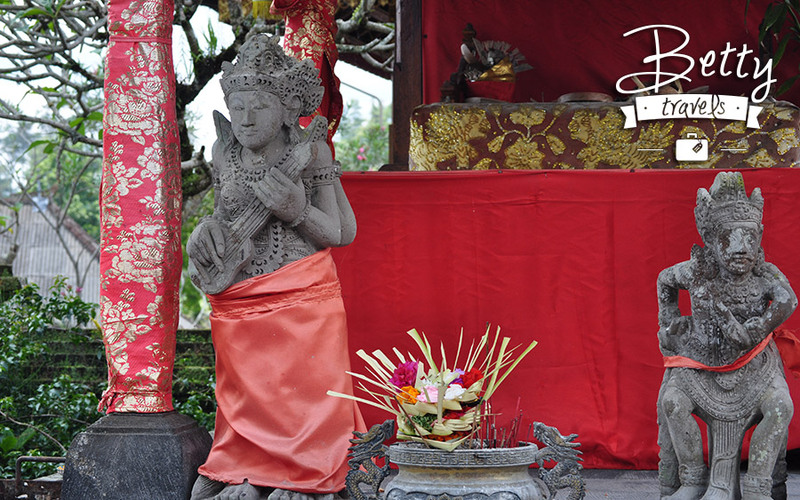 I visited Denpasar, Sanur, Kuta, Ubud and some of the temples around, which I will show you in this photo story. 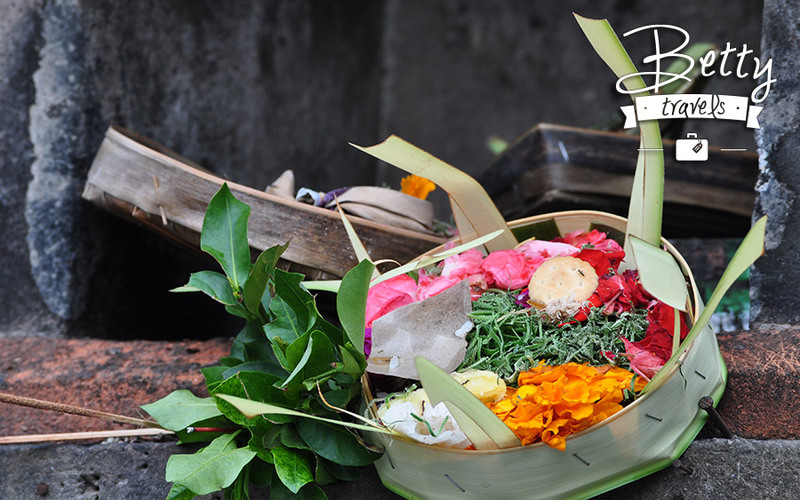 The Balinese name is a naming system in Indonesia, used by the people of Bali and those of the neighboring island of Lombok. They only use 4 names. Both males and females receive one of four names based on birth order. 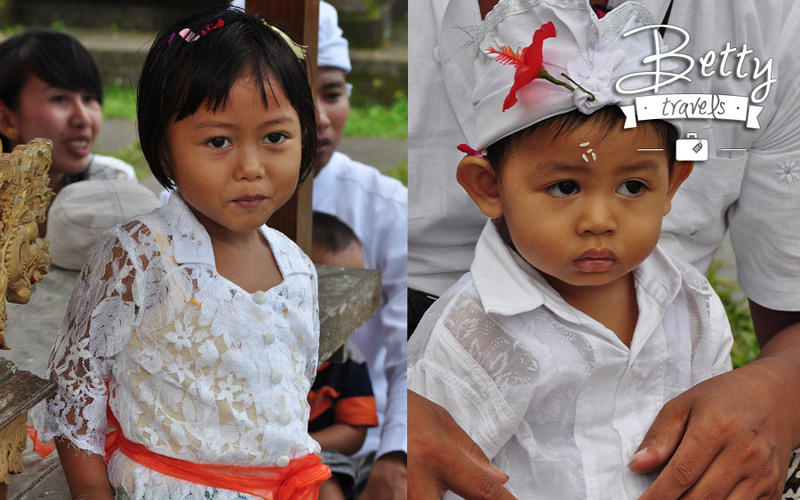 The firstborn is “Wayan”, second is “Made”, third is “Nyoman” and fourth is “Ketut”. And for the rest of the children, if any, it repeats again, Wayan, Made etc. You can distinguish the male from the female names they use I for male and Ni for Female in name. 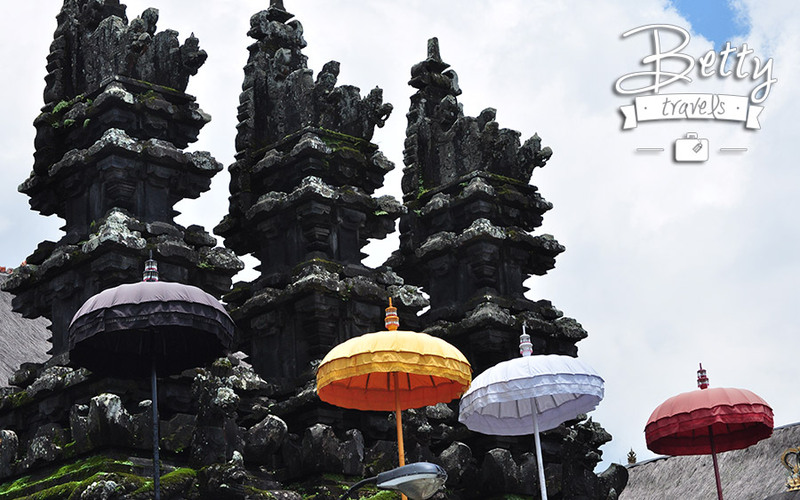 They say that no one comes by chance to Bali and the people who join you on this trip are your closest. 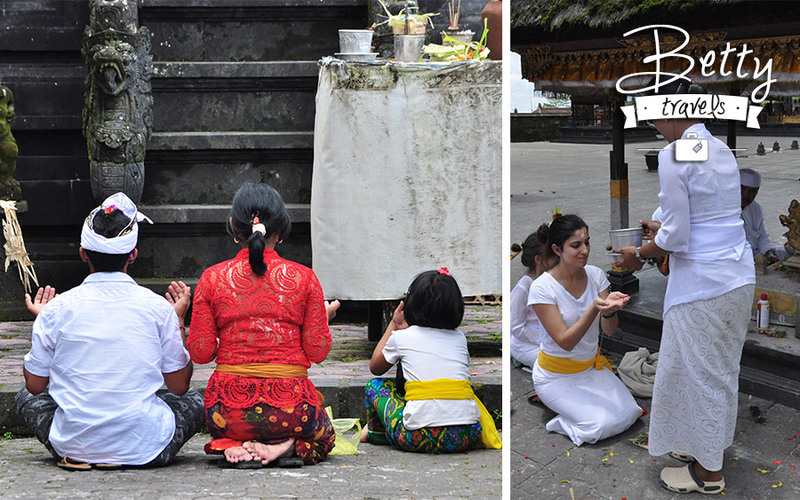 The traditional Balinese greeting is a Hindu one: the hands are clasped in front of the chest in a relaxed prayer position and the person says: “Om Swasti Astu”, meaning ‘peace and greetings from God’. 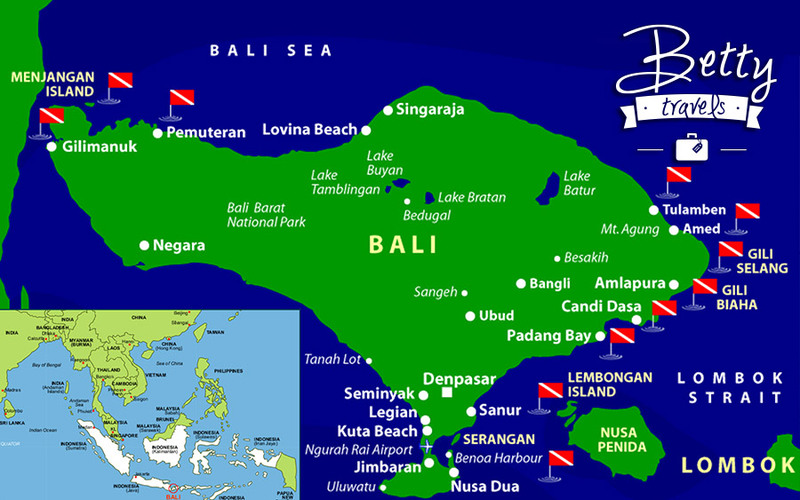 Balinese seldom commit crimes. As a Hindu they believe in reincarnation, when they do something bad now, in the next life they will be born as an animal for example. So the local people follow the words think good, speak good, act good in order to have good karma. 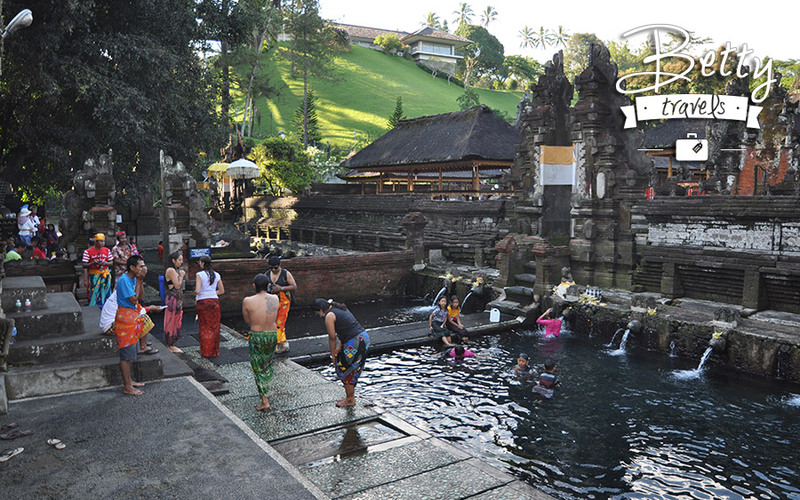 People in Bali believe that you can cleanse your sins by showering in the holy springs. Usually they will do it on full moon and new moon. Exactly on this day we visited the Tirtha Empul Temple, where we decided to wash our sins away in the holy springs and to experience the ritual with the locals. All sins are gone. To have good karma the local people try to speak and act well, but they believe that you can please the Gods. 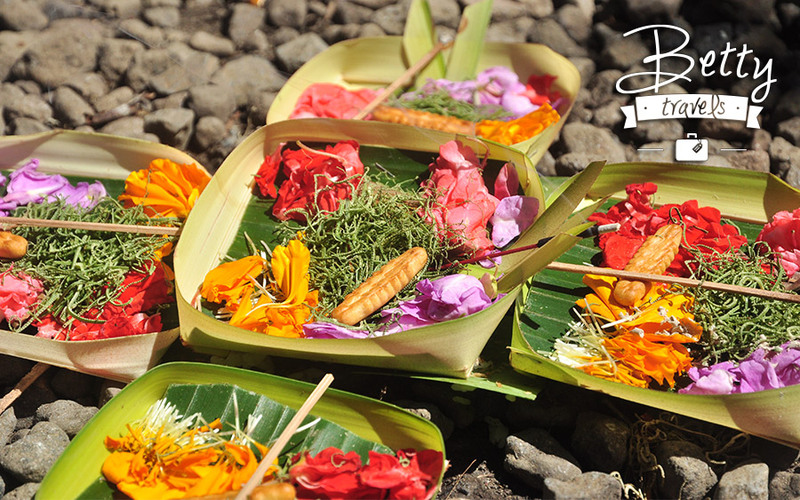 This is the reason why when they go to the temple, they bring presents to the Gods – food and flowers. You can see all over on the streets small packages with flowers and rice. 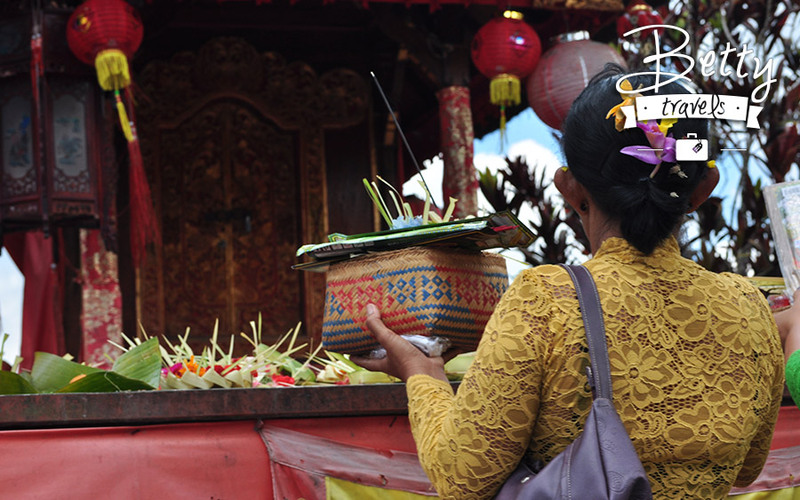 The locals leave it for the bad spirits, to bribe them and keep them far away from their home. 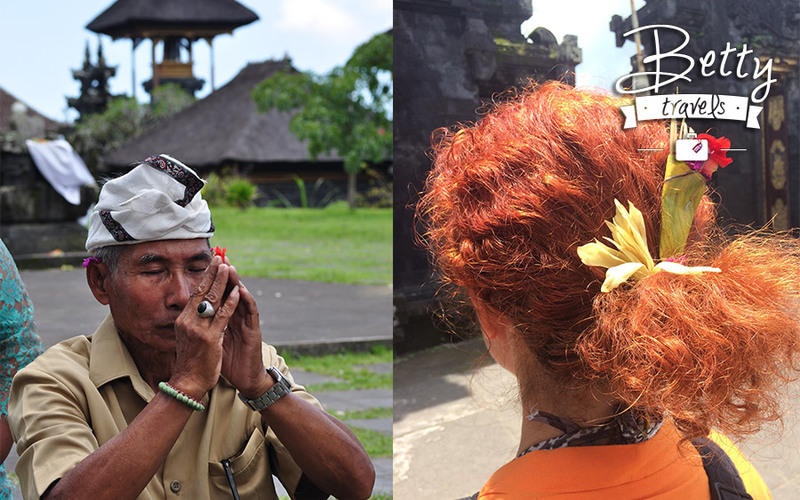 When they pray, they hold flower leaves in their hands and after that they stick them in their hair, picking one of each color. The ritual is beautiful and creates festive mood. Men sit in the temples with crossed legs and women fold knees and sit with their feet pointing backwards. If you haven’t done it every day since the age of childhood and you do not go to yoga classes, in the end of the service you feel pain. The service ends with everyone swallowing some rice for cleansing and placing the rest on his/her forehead. The temples are always open and you can visit them during day and night. 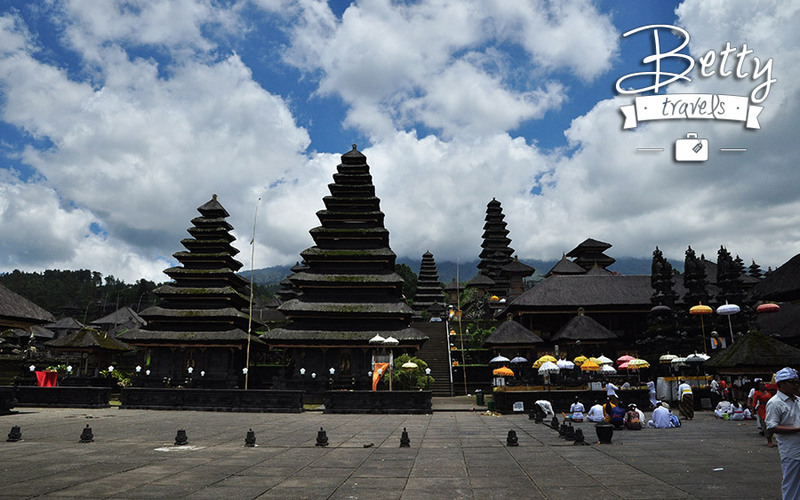 The biggest Hindu temple in Bali is Besakih temple, called by the locals Pura Besakih. Busaki means congratulation. 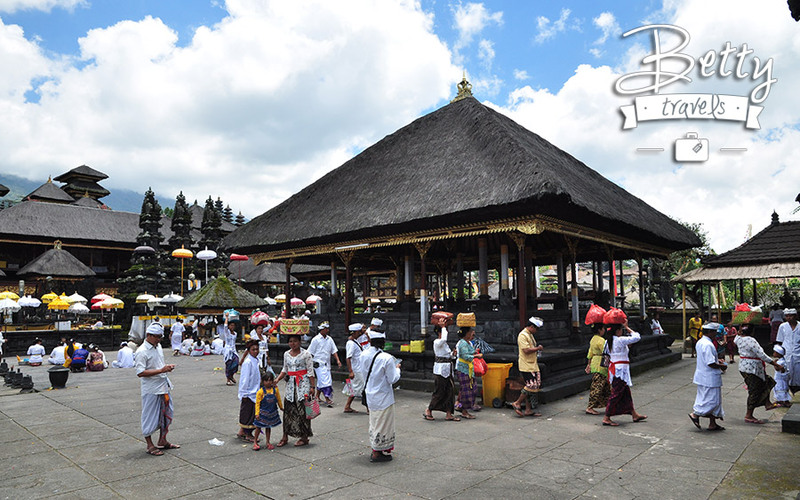 Pura Besakih (the mother temple) is a UNESCO world heritage site since 1995 and comprises three temples, the trinity of Brahma ( the Protector), Shiva (the Destroyer) and Vishnu (the Creator). They are signified by the colors – yellow, white and red and the elements – fire, wind and water. 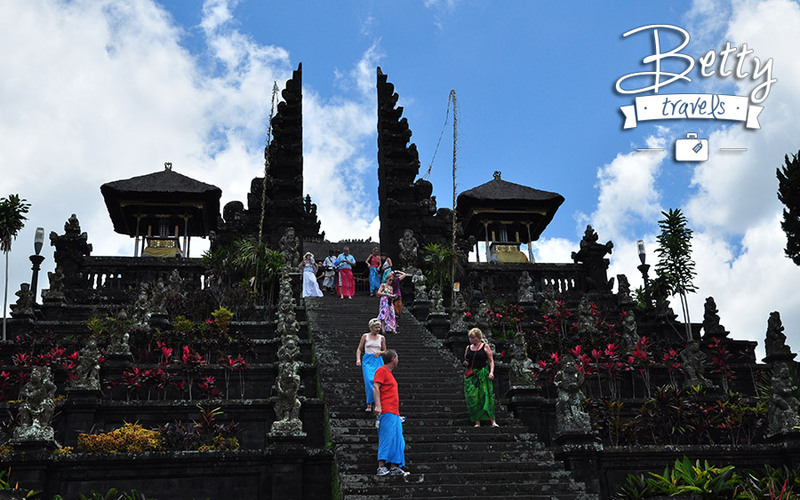 If you want to visit it, you need to be dressed in local traditional clothes (proper top, and a sarong). Better go in the morning to avoid the crowd. 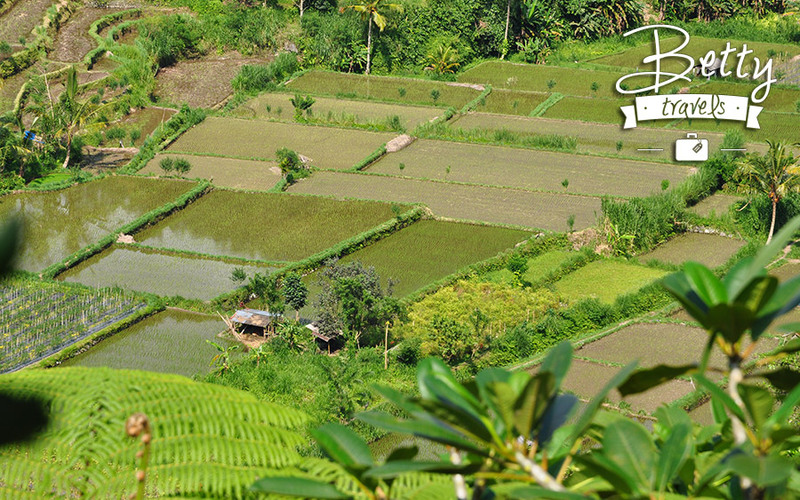 Would you guess that Indonesia, the country of the beautiful rice terraces, today imports rice? Back in the early 1980s Indonesia was self-sufficient in rice but production began to decline as farmland was needed for housing purposes. At the same time the weather phenomenon El Nino and regular flood hurt rice harvests. 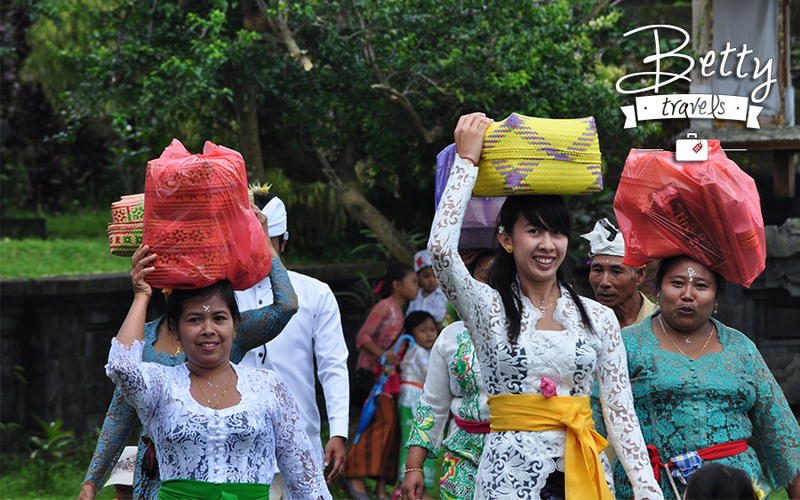 Harvest season in Indonesia is usually from June to August. 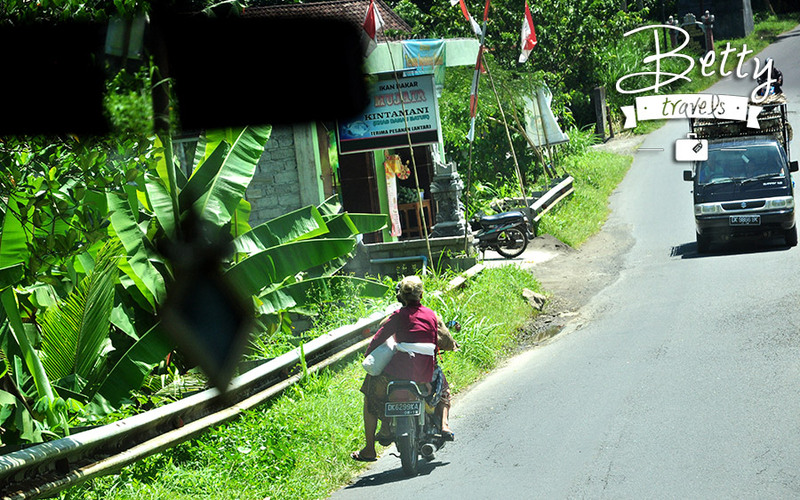 It is an adventure to drive in Bali, but the drivers take care for each other and they use the horn only to inform the others that they are coming but not to argue. All are relaxed and it is a miracle that there are not so often incidents on the road. 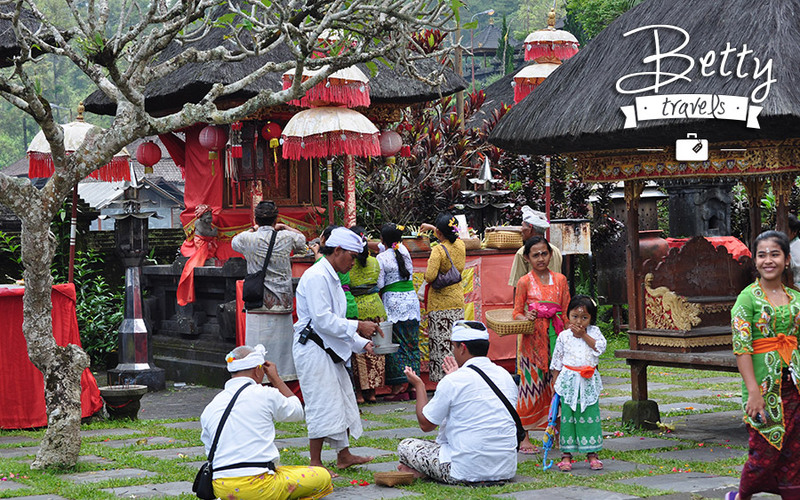 Wherever you go, do not forget to respect the local traditions and customs. This will guarantee you nice experience and you will best explore the country.